Secretary of State John Kerry will appear before the House Oversight and Government Reform Committee to answer questions about Benghazi, according to a letter from the State Department obtained by NBC News. "As we have previously communicated to the Committee, we believe there are witnesses better suited to answer questions regarding the Department's response to Congressional investigations of the Benghazi attacks," Assistant Secretary of State Julia Frifield wrote. "However, in the interest of accommodation and to resolve once and for all any outstanding, relevant questions, the Secretary is prepared to appear before the committee on June 12 or 20." Kerry has been subpoenaed twice by the committee's chairman, Representative Darrell Issa, but the State Department said Kerry was unable to appear on the dates Issa selected. An Issa spokesman said that the chairman has accepted the offer and scheduled testimony for June 12. Issa's panel had been the main venue for Republican investigation of the Benghazi attacks until House Speaker John Boehner named a special select committee to probe the matter earlier this spring. Assistant Secretary of State Julia Frifield told Issa that Kerry's testimony "would remove any need for the Secretary to appear before the Select Committee to answer additional questions." Michael Steel, a spokesman for Boehner, said that decision will be up to select committee chairman Rep.Trey Gowdy. 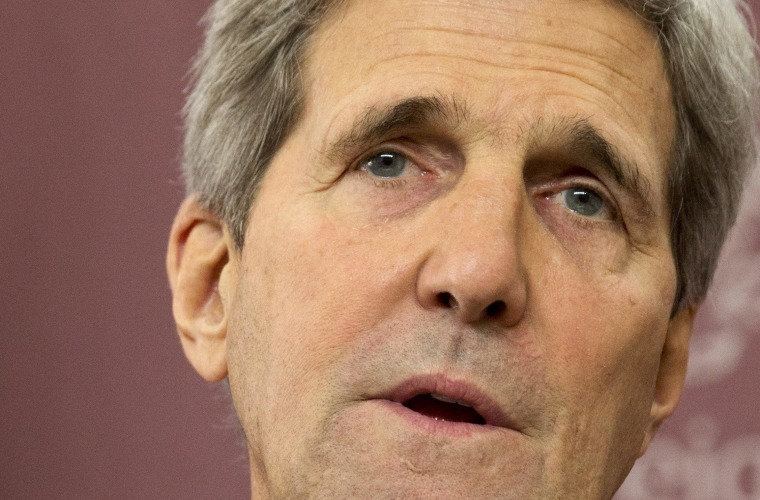 "We're glad Secretary Kerry will appear at Oversight. Whether he will also be asked appear before the Select Committee will be a decision for Chairman Gowdy in the future."